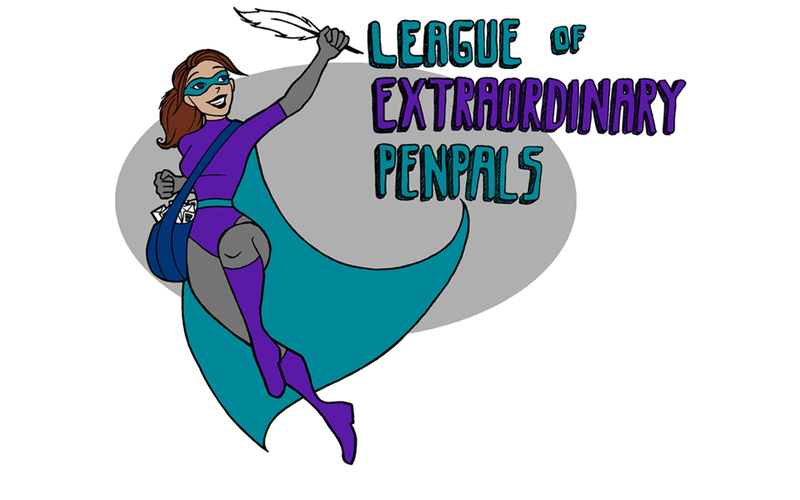 League of Extraordinary Penpals: Social Media? We're still trying to master the abacus. Social Media? We're still trying to master the abacus. It's been a busy week here at LEP Headquarters! We've been busy matching partners for the first LEP swap, ensuring that everything is just right for the perfect pairing—we want you and your partner to make the most dynamite super team this world has ever seen (ie: waaaaayy better than Batman and Robin!)! Emails were sent yesterday to everyone participating so check your inboxes and get writing! Just a reminder that you should have your introduction letter posted by February 19. If you haven't gotten an email containing your partner's info yet, check your spam folder; if it's not there, then let us know. In addition, we're happy to announce that LEP Headquarters has joined the 21st century! What does this mean, you're asking... well, let us tell you! It means that we've joined social media. We were a bit on the fence about social media because by definition, being a superhero means hidden identities and cloak and dagger activities. But, when Jerk Superman is blabbing about his activities on Twitter, that made us reevaluate things. Why should he have all the spotlight?! All he does is fly and have super strength or whatever; we write letters! That's way better. 1) Follow us on Twitter! We can't guarantee that we'll tweet much because trying to fit everything we want to say in 140 characters is next to impossible, but we'll try our darndest. Follow us, tweet at us, introduce yourself so we can follow back, do other things that Twitter allows you to do at other users (within reason....). Trust us, it'll be fun! 2) Join the LEP Facebook group! We were so pleased that everyone seemed to enjoy the LEP blog post party, and in an attempt to keep that party going, we've created a Facebook group to allow you to indulge some more in the invisible punch. However, this Facebook group is open to LEP members only. Sushi and the Squirrel will act as admins for the group so don't worry about having to ask to "join" the group—once your membership has been verified, it's a non-stop PAR-TAY all night long. That's the latest from LEP Headquarters and Sushi and the Squirrel! How have you superheroes been? I'm not on Facebook or Twitter. I've asked my dog to join the Facebook group via his page!! Athos is the most adorable dog so I accepted his request to join the Facebook group! However, please ask him not to drool everywhere, OK? I got my LoEP stationery and membership card today, thank you so much! And thank you for adding me to the facebook page.